I hope you have all had a wonderful Christmas, filled with joy, love and lots of good food! I have just come back home and I am already preparing for my second trip to my friends, where I will be staying until New Year’s Eve. The word “cozy” seems to be my go-to word when describing autumn and winter scenes. There simply are no other words that captures the vibe of those seasons so well to me. Beautiful might be one of them, slightly cliché but absolutely accurate none the less. However, there is something so incredibly cozy about these late seasons and that is what truly makes me love and appreciate these rainy and snowy seasons. 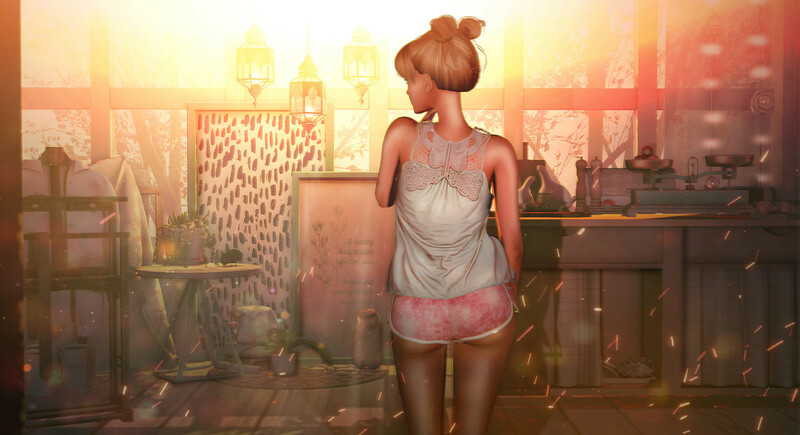 Speaking of coziness, the majority of this scene consists out of the 22769 ~ [bauwerk] My Little Cottage gacha set. The gacha set is currently available at The Arcade’s December round and includes a couple of must haves for any cozy cottage fans. 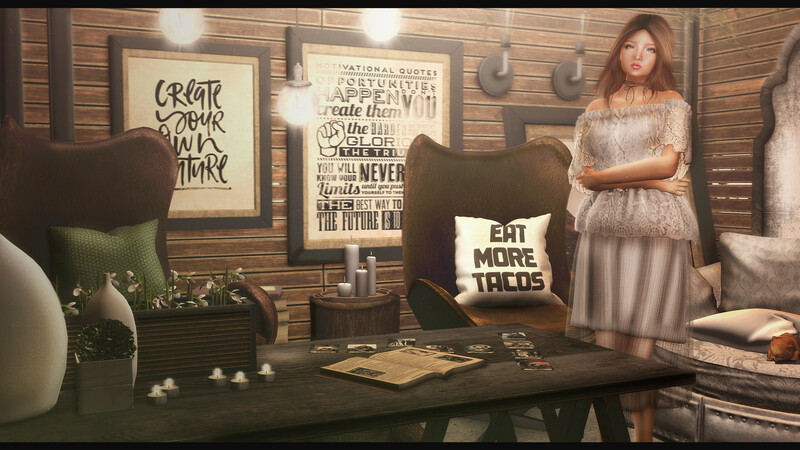 I finished the scene with a couple of pieces from Serenity Style and a sparkly ladder from Ariskea.